Liebe Freunde in Österreich/dear friends in Austria, heute Abend ist ein ausführliches Interview mit mir in Ö1 zu hören/tonight, an in-depth interview with me will be on the radio (Ö1): https://oe1.orf.at/programm/20190417/550091 I hope you tune in - viel Spaß! 5 days 17 hours ago. Lukas Ligeti updated their profile picture. 3 months 3 weeks ago. Happy 2019 and thank you to all of you who liked and followed my page in 2018 (and before)! I hope 2019 will be a great year for you. I have lots of new music in preparation and will be happy to report on it/share it with you. Stay tuned! 3 months 3 weeks ago. Lukas Ligeti shared a post — with Brett Pyper and 6 others at Kalashnikovv Gallery. Video snippet of last night´s improvised performance by C-drík aka Kirdec and myself at Kalashnikovv Gallery, surrounded by the amazing artworks of Elizaveta Rukavishnikova. Thanks to to the gallery team for hosting us, to Aragorn23 & Chantelle Gray for the beautiful opening set, and to all who came! 📹 MJ Turpin 3 months 3 weeks ago. I'm back in California from an extremely enjoyable tour in Chile to play at the Acéfalo Festival in Valparaiso and Limache and in Valdivia. Many thanks to Luis ToTo Alvarez, Julia Walker, Johnny Walker, Ann Christine Ulrich Walker, Benjamin Vergara Portales, Peter Mayer-Telger, and all the others who made this possible, and to all the great musicians I met and/or played with. I hope to return to Chile before too long! (In the photo, I'm preparing to play a marimba lumina solo concert at the Granja Aromatica Los Aromos in Limache.) 5 months 1 week ago. 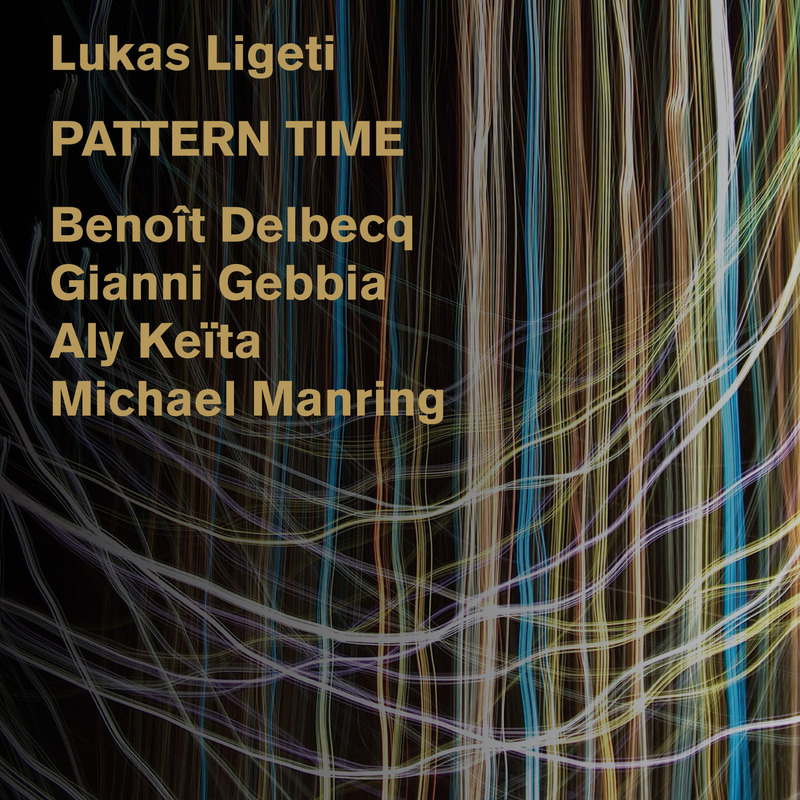 With “Pattern Time”, Lukas Ligeti and his group introduce a style of music that is hard to categorize for the best of reasons: it is something the likes of which have not been heard before. Is it a new direction in jazz, perhaps more specifically in African jazz? Is it a new idiom in the otherwise unidiomatic realm of creative improvised music? Ultimately, such questions may be impossible to answer. This, however, is for sure: it is a fresh approach to both sound and rhythm, a musical conversation that uses a new syntax that comes across as immediately striking; an abstract language the listener can instantly understand — with enough motion to keep a restless octopus happy. Invited by the Vienna Musik-Galerie festival in Austria to put together a group consisting of some of his favorite musicians, New York-based Ligeti assembled a quintet of kindred spirits united by their interest in new rhythmic possibilities in improvised music. Their communication was immediate, their interaction both playful and profound. Like in African music, patterns form the foundation of this music; like in jazz, the patterns are often implied rather than obvious. But here, both the musicians’ usual roles and the ways in which the patterns interrelate are blurred, resulting in a form of interplay that indicates directions heretofore unexplored. Time is treated topologically; it is expanded, contracted, twisted and turned to provide fresh and new ways of experiencing the beat. And often, there is no clear beat, though a sense of groove is never lost. This music takes the African approach to polymeters, which renders the rhythm both firmly grounded and ambiguous, to the world of experimental improvisation; it swings while eschewing all clichés. Lukas Ligeti’s compositional input - mainly in the form of ideas, shapes, and patterns - provides the conceptual foundation upon which the ensemble builds its conversation, combining their individual, highly evolved musical vocabularies. The African influence is a cornerstone throughout. Ligeti has developed a choreographic, polyrhythmic drumming style based on the music of East Africa’s Kingdom of Buganda; his connection to the continent was deepened through numerous trips and collaborations with African musicians. In Côte d’Ivoire, he met Aly Keïta, one of today’s leading virtuosos of the balafon, the West African marimba, who has boldly introduced his instrument and traditions into a jazz environment. Parisian pianist Benoît Delbecq, in turn, has developed a completely original approach to jazz piano, preparing his instrument with wood and basing his rhythmic vocabulary on the chants of Ba’aka pygmies. His playing leaves an indelible mark on any music to which he contributes. Hailing from Sicily, saxophonist Gianni Gebbia has similarly crossed the bridge between traditional and experimental music, conjuring up the launedda, the ancient Sardinian bagpipe, and propelling it into the new millennium. And Michael Manring, one of the world’s most recognized electric bass players, built a new world of expression upon the foundations passed on to him by his teacher, Jaco Pastorius. It is a rare and welcome treat to hear him in a context where he is so unbound and free to experiment. Together, these singular musicians create an architecture that is greater than the sum of its parts, and points to new paths, spaces, and structures to be explored. Like his father György before him, in his own way Lukas is revealing a new musical universe strikingly his own. "I really looked forward to hearing this CD as I had read perplexed reviews, which naturally really perked my interest. I wasn't disappointed. This music is the atomic bomb needed to obliterate the mind numbing stolidness of standard minimalism and the staid grooves of status quo jazz. And that explosion is coming from Africa. Lukas Ligeti has magically meshed African music with jazz/pop, with the cerebral music of his Dad, Ligeti Sr., and Xenakis. His insane playing and writing is somewhere in the mid-Atlantic, torn between 3 continents, like some gangster/pirate, unafraid to plunder any culture, lock, stock, and barrel. But it is not just some post-modern goulash; he's asking super intellectual questions with this language. When does rhythm become texture? When is texture melody? When is timbre melody or rhythm?" "'Without Prior Warning' bursts open with a hyper electric bass ostinato from Michael Manring, a specialty of his. The leader’s drums and cowbell counter it, as Aly Keita’s balafon and Benoit Delbecq’s preparedpiano add percussive and rhythmic intrigue for saxophonist Gianni Gebbia’s puncturing bleats. Like many of the pieces, it has a respiratory quality as the various rhythmic phrases converge and diverge. Chatter between prepared piano and balafon begins the episodic 'On Patterned Time' until Ligeti’s steady bass drum elicits floating sax slurs and responding articulated notes from Delbecq. Developing from a swirling sax and balafon exchange, Manring and Ligeti build an insistent groove that spurs Gebbia’s improv. The music is not all esoteric technicality. A winsome melody emerges from the music box-like exactness of 'Timelessnesses' and after a dramatic sax and percussion crescendo, it recedes to tinkling keys. 'From the Ground Up' boasts a funky vibe between bass and shuffling drums, from which the leader unveils a dynamic solo. Chasing single-note runs are passed between the instruments, creating a revolving feel for 'Translucent Dusk.' From amorphous beginnings, the instruments lurch forward on the lengthy closer 'Tunnels Alight.' Keita’s part is reminiscent of the haunting theme from the original Halloween and as Ligeti and Manring spar, Delbecq retorts. The three come closest to ‘jazz’ in another section before the piece morphs, intensifying with the returning sax and balafon. The quintet generates a daunting statistical density. But with time and attentive listening, the patterns are discernible. Ligeti is forging advanced rhythmic possibilities for adventurous composers and improvisers alike." "[A]n unusually articulate hybrid of jazz, modern-classical, and African ideas."